Cork Cage Wine Glass (P/N 91-044). What should you do with all those corks you've managed to collect? Tuck them in a drawer or box until you create a special cork craft? Why keep them out of sight? Display and store your cork collection in something uniquely stylish and fun! 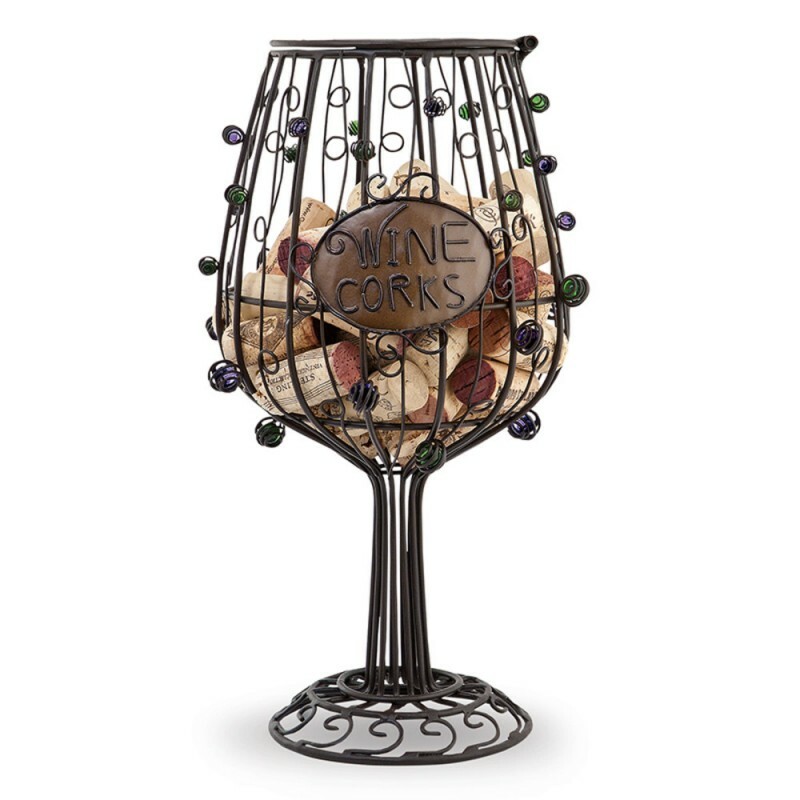 Larger then life, this Wine Glass Cork Cage is a fun and innovative way to keep and cherish all of your wonderful wine memories. Artfully sculpted metal work with colored glass spheres. Top hinges open to release corks. To safely store your cherished wine corks, simply drop them through the opening at the top and voila. Now everyone can enjoy your cork collection. It's a must have for the stylish cork collector.